Above: With my friends, Calliope, Maria and Efstratia. I am second from the left. 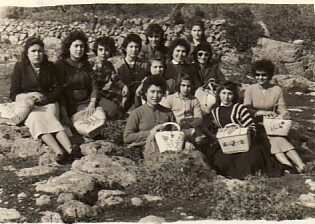 Above Right: At the panygiri of Agios Stefanos, 1960. 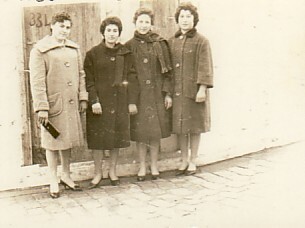 L-R: Magdalene, myself, Despina, Konstantina, Eleni and Katina. Above: On excursion with friends. I am in the front, centre. 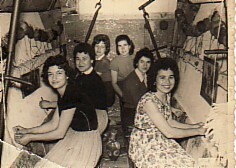 Above Right: Working at Hatzistrati's workshop that made carpets. 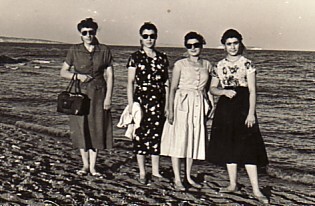 L-R: Magdalene, myself, Despina, Konstantina, Eleni and Katina. I worked here for almost three years. 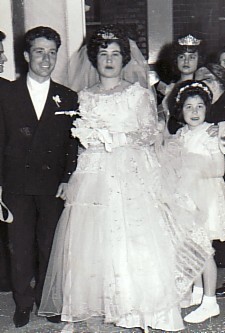 Above Right: My wedding with my husband, Gerasimos. 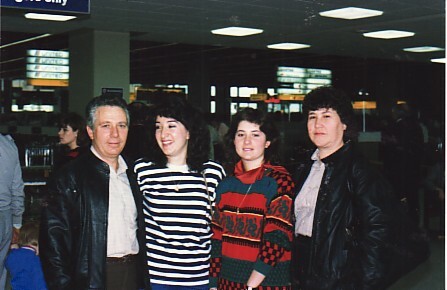 Above: My family- with my husband, Gerasimos, and our daughters, Maria and Eleni.